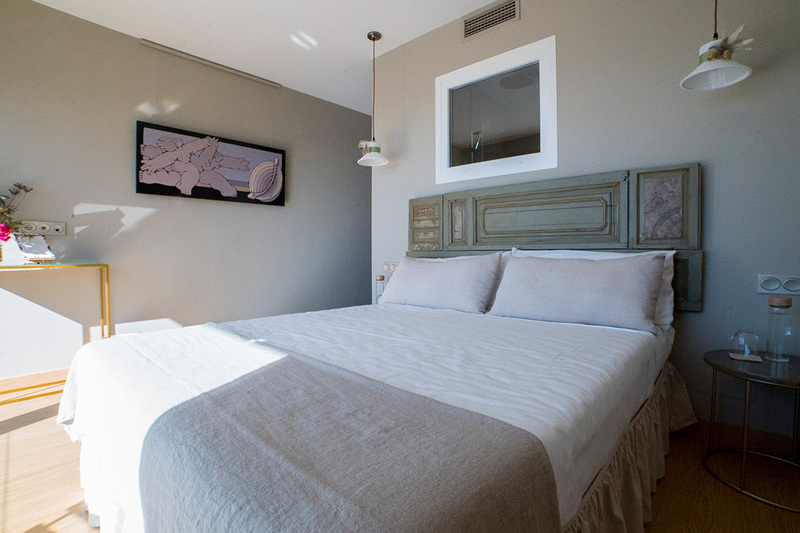 With 17m2, the Olivo room is one of the double rooms at Casa SiempreViva. 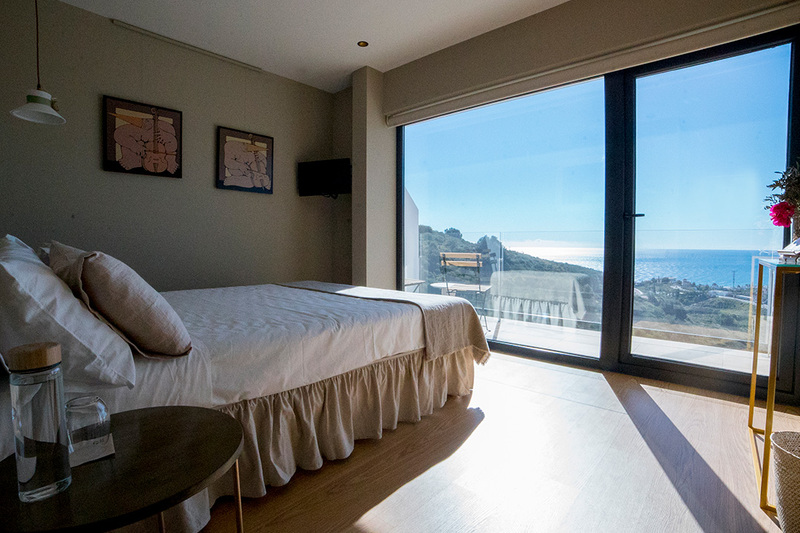 It has fabulous sea views thanks to its south-facing position. Let the unmistakeable blue Mediterranean come in and admire its beauty whilst laying down and reading a book on the Queen size bed. 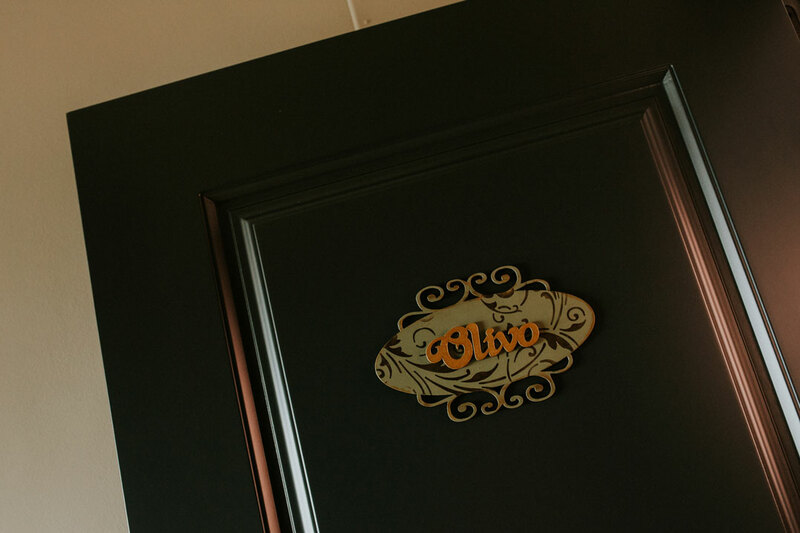 This room honours one of the Mediterranean trilogy components: the olive tree. You can enjoy the local extra-virgin olive oil that its fruits provide together with a delicious piece of toast from our breakfasts. 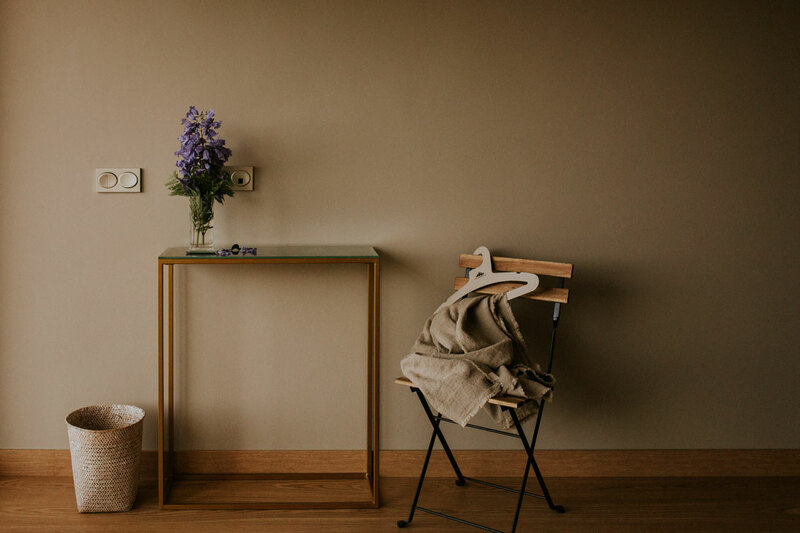 Book directly with us and enjoy a bottle of organic champagne waiting for you in your room. 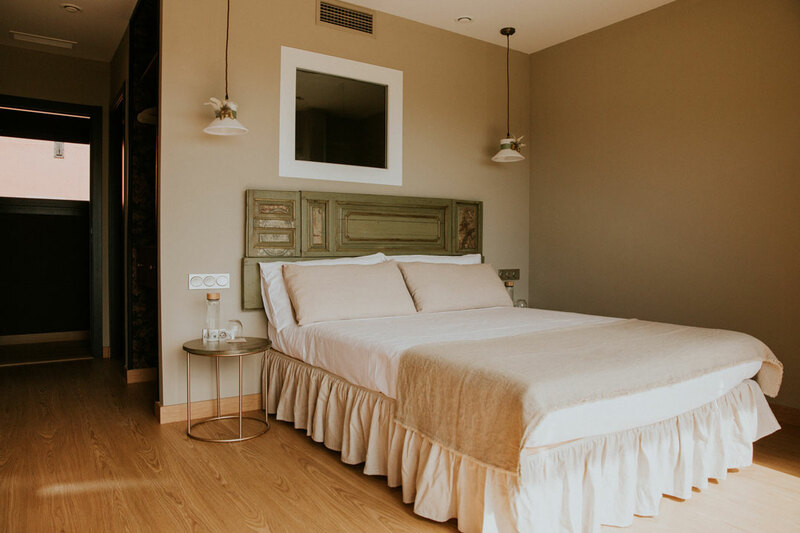 Discover Casa SiempreViva, your eco-friendly boutique accommodation in Torrox, born to provide you with a premium quality and a sustainable experience. 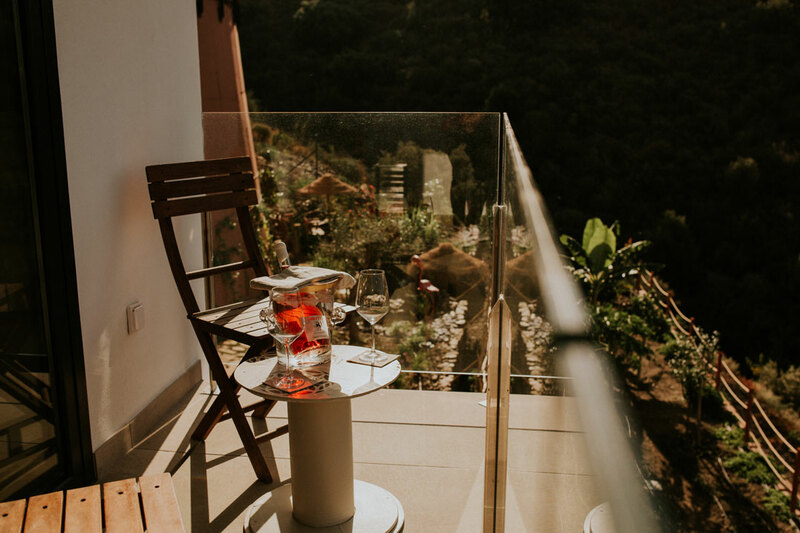 Enjoy its fantastic Mediterranean views. Available in all of the bedrooms. Free decalcified drinking water and treated by osmosis. 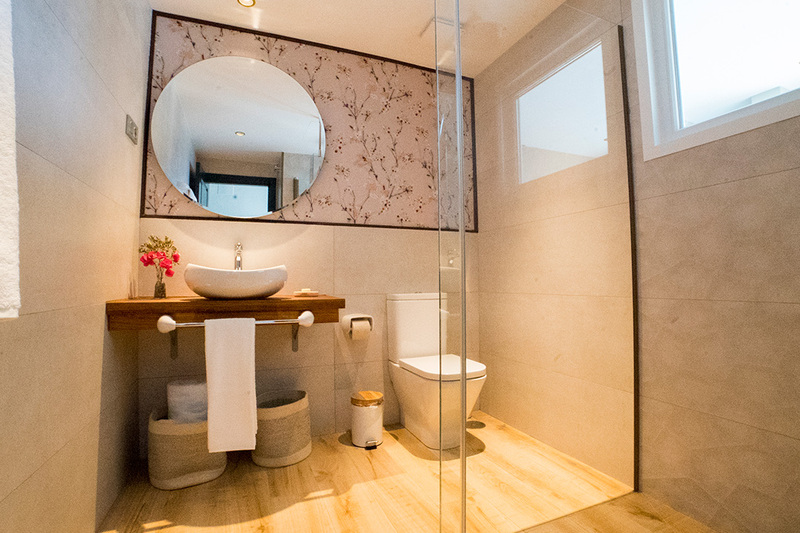 Enjoy fabulous sea views whilst taking a relaxing shower or have a bath with views of the vertical garden. Sustainable aerotherm climate control. The filter purifies the outside air avoiding dry eyes and throat. 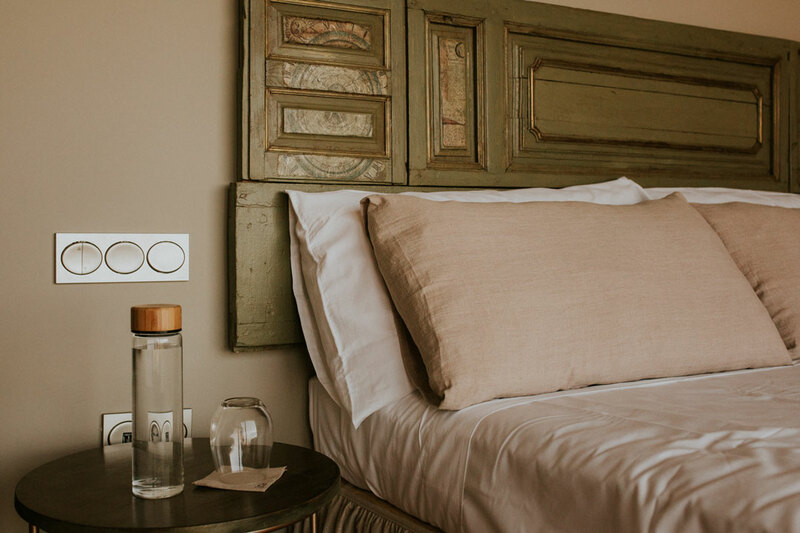 Pampering your senses while caring for your skin and the planet is possible thanks to the exclusive design of the amenities that you will find in each bedroom in Casa SiempreViva. Strategic Wi-Fi location to minimise the impact on your health.